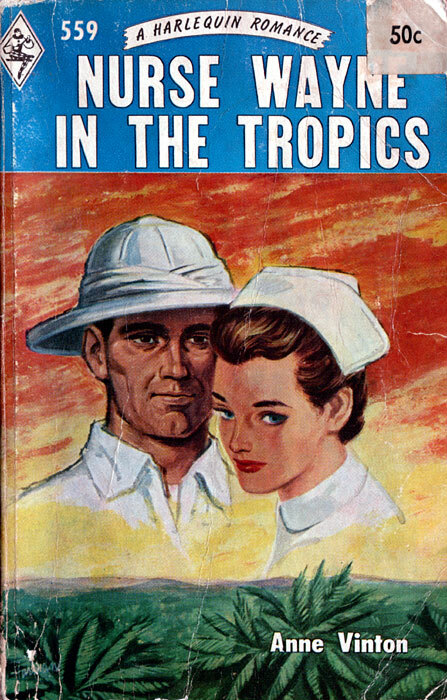 Beatrice Wayne, S.R.N, sat thinking, shivering despite the tropic heat. How far away the clinic seemed and the chatter of the nurses snatching those quick cups of tea in the kitchens. At this hour they would be giving out medicines and tidying dressings before supper, after which the night-staff would take over. And here was she, three thousand miles away spending the night in a locked rest-house with the most dangerous man in the word; the most dangerous to her, at any rate, because she loved him. How did she get into this compromising situation and what would happen next? It’s all told in this lively, absorbing novel, full of interesting characters and set against the colourful background of the Gold Coast.